Despite what your friend (the one that puts 5 ultra-rare Sonic Youth recordings on every mix) tells you, b-sides and unreleased songs are usually unreleased for a reason. But with every “usually” comes exceptions. Check out this track from Muse, recorded a few years ago and performed live, but still not appearing on any albums. Epic chorus, swelling build-up, and guitar riffs that make me wanna chug whatever drink I have in my hand and break the glass over my face. If this was on the new Muse album, it would be my favorite track on the album. I'm pretty sure this was a B-side to either the Supermassive Black Hole or Starlight singles. 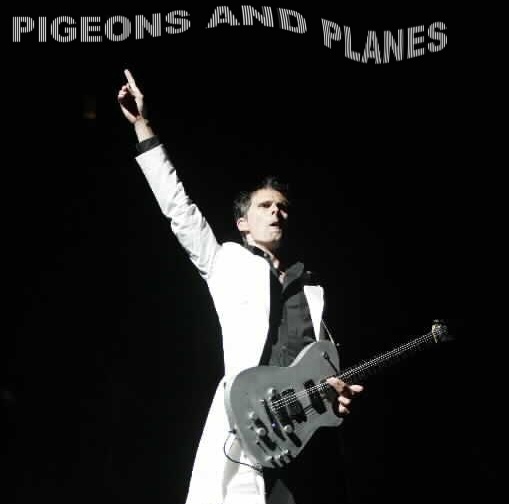 But I agree, this is possibly my favorite Muse song. It's like a perfect heavy pop rock song.If you haven't heard it, check out Glorious. Another epic B-side. Dude, practically all Muse B-sides are great. The fact that some of their b-sides aren't on the album is depressing, one of their best b-sides in my opinion is Fury(it has to be live though). Agreed, Fury is another good one. And Eternally Missed. And The Groove. The Groove is fuckwin, as is this. « New! Little Brother – "Life Of The Party Pt. 2"